Traverse rough desert canyons and gaze out over the mighty Rio Grande River. Meander along isolated trails flanked by cactuses and live oak trees. 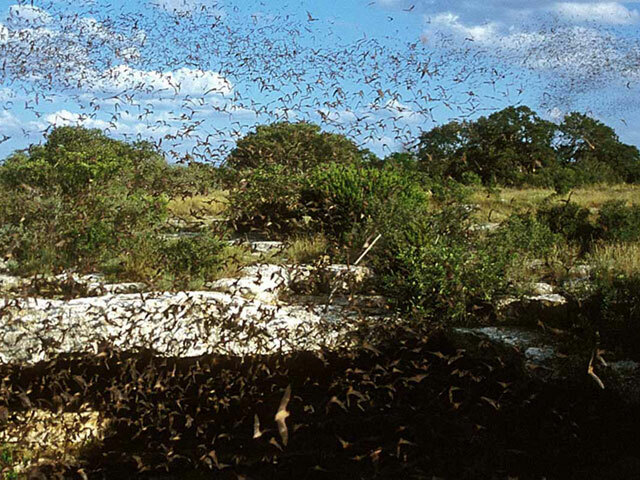 Watch as millions of bats emerge just as the afternoon turns to dusk. If you’re looking to do something really amazing in the outdoors, head to one of the Texas state parks near San Antonio. Within a few hour’s drive of the Alamo City, you could be admiring ancient Native American pictographs at Seminole Canyon State Park & Historic Site, kayaking among the mesquite trees at Guadalupe River State Park, or observing the tremendous fall colors on display at Lost Maples State Natural Area or Garner State Park. There’s a whole world of adventure out there just waiting to be experienced. Discover what a few of the state parks within driving distance of San Antonio have to offer below. At 65 feet wide and 350 feet deep, it’s no wonder how Devil’s Sinkhole got its name. Although it’s a sight to behold on its own, the real star of the show is up to three million Mexican free-tailed bats that roost in the sinkhole from late February through October. Find your way here at dusk and you’ll see the bats soar out of the hole by the thousands, one of the most spectacular sights in all of the Lone Star State. This experience is only available on one of the state natural area’s guided bat emergence tours, which you can reserve by calling (830) 563-2342. Not able to make it for the evening tour? The state natural area also has excursions to see the sinkhole, nature hikes, and the morning bat return in the mornings (on select days). Explore rugged trails shaded by persimmon trees; try your luck at snagging a bass, catfish, or sunfish from the bank of a clear-water creek; and play your way through a scenic nine-hole golf course. You name it, you can probably do it at Lockhart State Park. 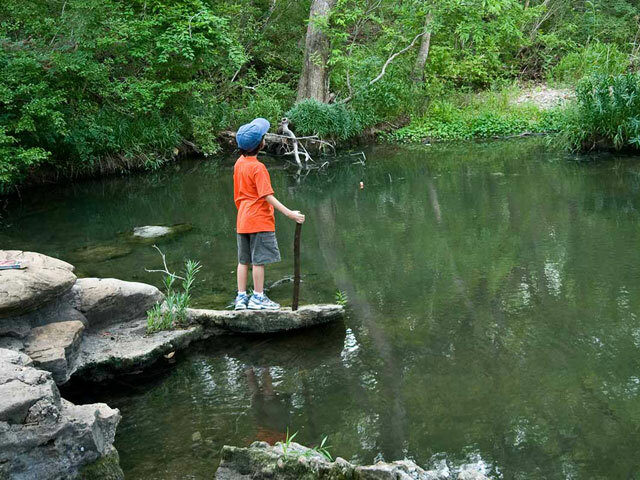 Situated just 70 miles northeast of San Antonio, the park has a bit of something for everyone. 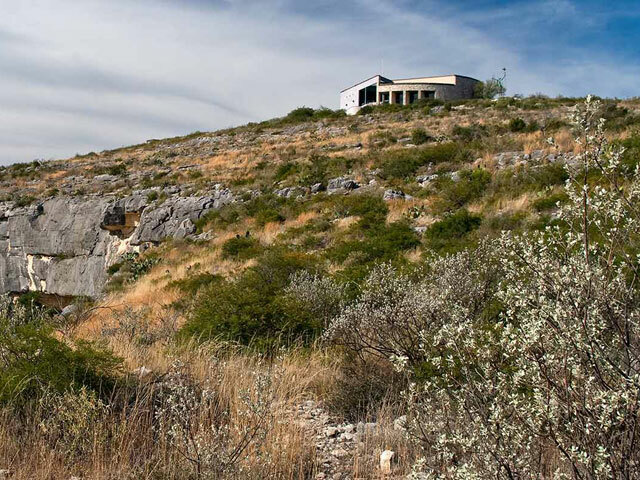 Three miles of hiking and biking trails take you through prairie grasslands and thickets of red cedar and green ash trees while serving up some remarkable views of the Texas Hill Country. Test out your long and short game on the historic golf course or cool off from the summer heat in the swimming pool. Once the sun sets, settle in at your reservable campsite and rest up for another full day of adventure. With its rugged stone cliffs, deep canyons, and sweeping valleys, Seminole Canyon State Park & Historic Site appears as barren as it is beautiful. Yet the land itself tells the stories of Native Americans who once thrived here thousands of years ago. It’s here, about 200 miles west of San Antonio, that you’ll find some of the oldest Native American rock art in North America, an enduring reminder of the people who once called this part of Texas home. Hike the more than 10 miles of trails and take in stunning views that include an overlook of the Rio Grande River, then go on a guided tour to explore the canyons and see the pictograph sites. Make your trip a multi-day getaway when you reserve one of the 46 campsites.